BUT FIRST, LET'S REWIND, SHALL WE? Wet n Wild recently launched their app, "Steal The Look", which allows you to 'steal' any look by uploading a photo into the app to grab the lip, lid, and crease colours. Then, the app recommends you a few Wet n Wild products (obviously) to 'steal' the look. For those of you who don't know, Wet n Wild is a drugstore brand, with each of their products being under $8! Their eyeshadow trios and blushes are among the first ever makeup products I purchased, and UGH, THEIR POWDER FORMULATIONS ARE AMAZINGLY BUTTERY AND PIGMENTED and did I mention they're cruelty free?? This brand, man. For this look, the app recommended the eyeshadow palettes in Comfort Zone* and I'm His Breezy* (for the blue liner part), but I just ended up using their liquid liner in Indigo Blue*. 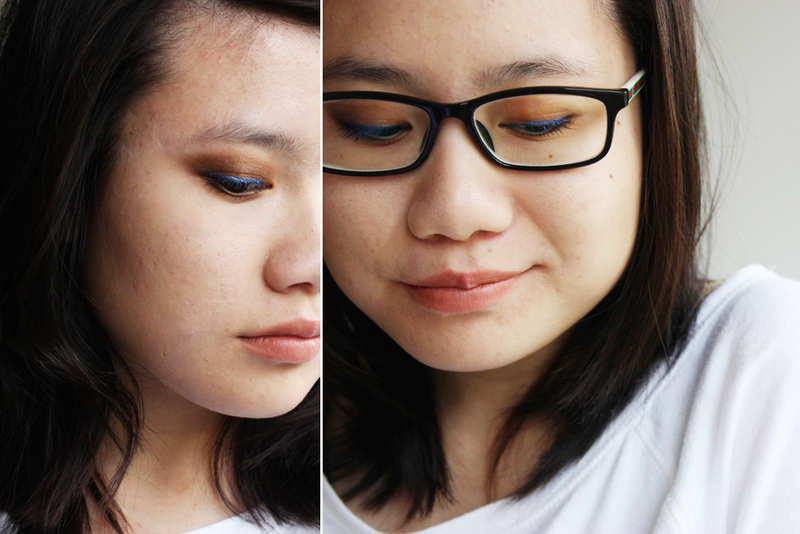 First, I smeared the 'crease' shade all over the lid, 'definer' in the crease and outer third, and lined my eyes with the 'Indigo Blue' liner. Too easy. For mascara, I used Mega Impact*. CLOSE ENOUGH, RIGHT??? 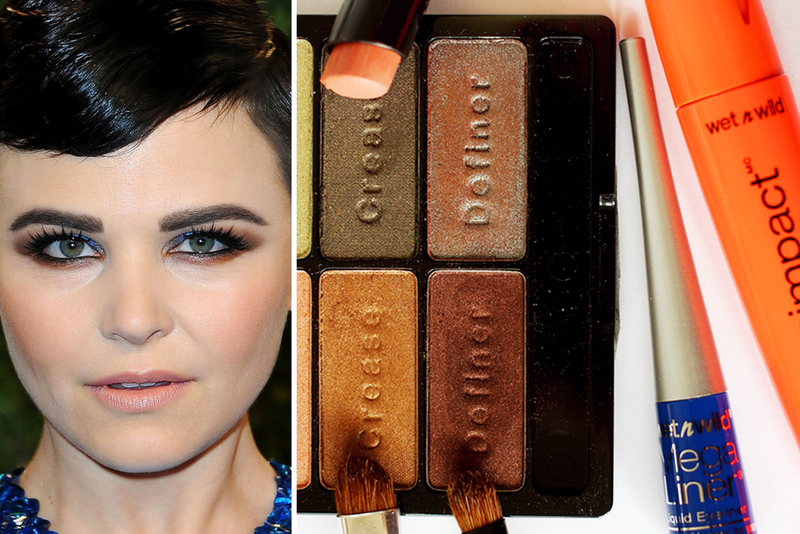 CAN WE JUST TAKE A FEW MINUTES TO ADMIRE GINNIFER'S MAKEUP THOUGH?? 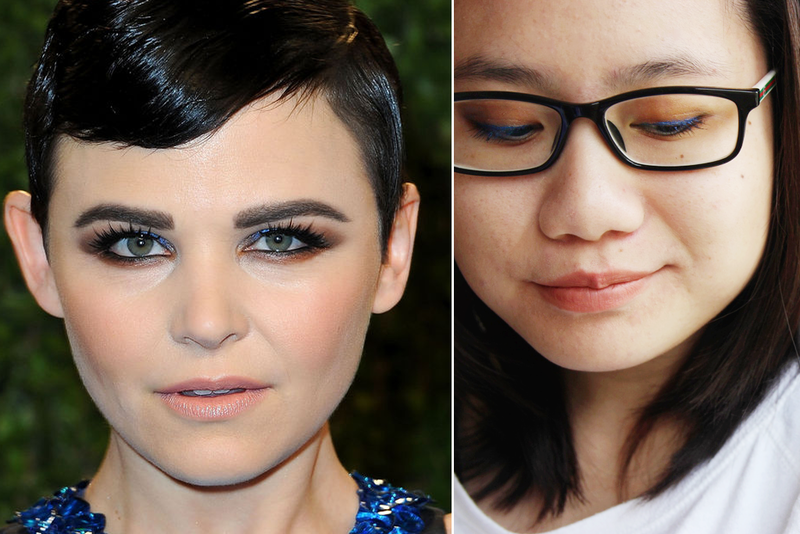 While I obviously don't have the same lid space (and brow game) as Ginnifer to really show off the blue liner, this look was still a great way add some colour to an otherwise neutral look. Favourite Wet n Wild products?